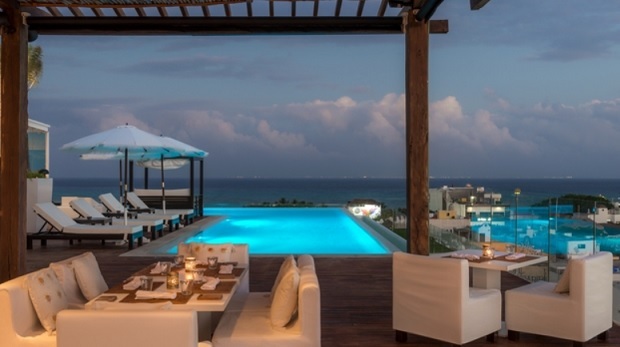 Perfect to satisfy high-energy, upscale guests who prefer to be travelers, not tourists, at The Fives Downtown Hotel & Residences, a new 93-room boutique hotel in Playa del Carmen. Located in the heart of Playa del Carmen’s hip “Quinta Avenida,” The Fives offers the best of both worlds—close proximity to the town’s funky bars, open-air restaurants and bohemian art scene, and easy access to the fine white-sand beach and watersports in the blue-green waters, just two blocks from the hotel. The Fives is all about ambiance, authenticity and unique experiences from start to finish. Attractive to locals and guests who appreciate fine food, the hotel provides daily Show Cuisine at the open-kitchen Italian restaurant, Mercatto; Foodies Night at Purobeach, every other Thursday with a three-course pairing menu; and a Tequila Tasting twice a week on weekdays at Cantina El Tigre. The hotel also arranges seasonal cooking classes, with a focus on techniques for making home-made pasta and bread. Even the hotel’s coffee shop is unique.